Being located at the foothills of Mt Bogong, the Mitta valley is an ideal base for trips into the Alpine National Park. Some of birds such as the New Holland Honey Easter, the Satin Bower Bird are found in the Mitta Valley. 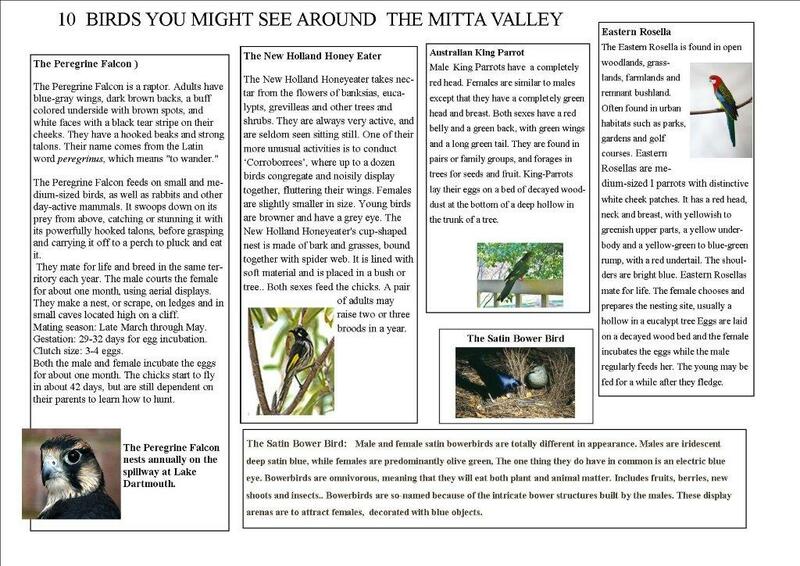 More information of 10 birds you may find in the Mitta Valley. Numerous camp sites are located throughout the Valley. Both Eskdale and Mitta Mitta have Caravan Parks with camp sites. In the Upper Mitta region camping in the National park near Anglers Rest is possible. A number of beautiful free camping sites are also located along the river in the Valley. For more information on camping in the Mitta Valley ….